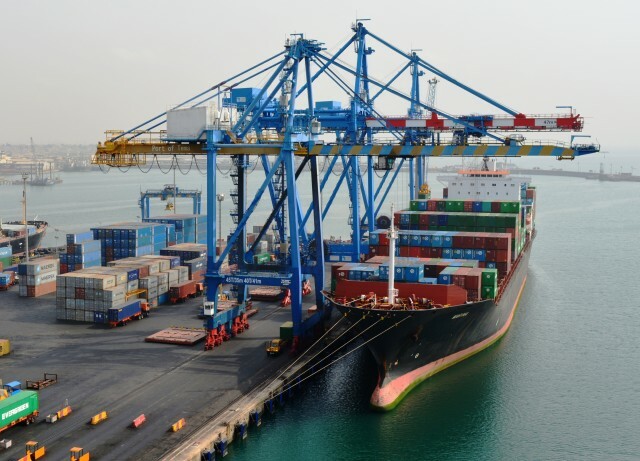 Ghana government expects a great impact from the expansion work at the country’s eastern port of Tema, Deputy Minister for Transport, Daniel Nii Kwartei Titus-Glover stated here on Tuesday. According to him, two of the terminals were expected to be opened by June next year to inject a lot more efficiency into port handling and the general maritime trade environment in the country as well as the sub-region. The expansion work being undertaken by China Harbour Engineering Company (CHEC) commenced in October 2016 at the cost of more than one billion US Dollars and is expected to increase the capacity of Ghana’s eastern port to handle bigger maritime trade in the sub-region. “Clearly when you come to the port currently there are two things happening; the port expansion is a big national assert and we cannot joke with it,” he stated. With commercial oil production in Ghana and an expanded economy which rides on the use of energy, Ghana’s sea ports are gradually becoming congested with huge imports to service the sector, hence the need to expand. “By June next year the first two terminals will be open. After the entire project is done, efficiency is going to be enhanced,” Titus-Glover observed. Ghana’s ports also serve the landlocked countries of Mali, Burkina Faso and Niger among others in their maritime trade. The deputy minister therefore urged stakeholders in the shipping industry to help mobilize the requisite revenue for the country to enhance her development efforts. Apart from expanding the ports, the authorities have also introduced paperless transactions at the ports in order to facilitate faster turn-around times at the ports for importers and reduce the demurrage charges traders have complained about. This has resulted in a 17.5 percent reduction in demurrage payment to 76 million dollars in 2017 from 100 million dollars in 2016. Chief Executive Officer (CEO) of Ghana Shippers Authority (GSA) Benonita Bismarck said the total demurrage payment further reduced by 21 percent to 28.5 million dollars, compared with the same period last year.